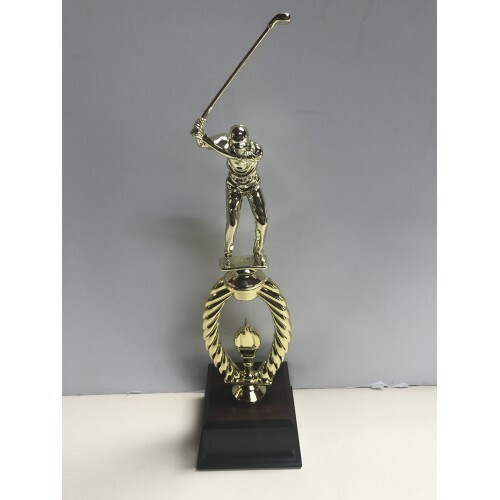 Golf Trophies There are 8 products. 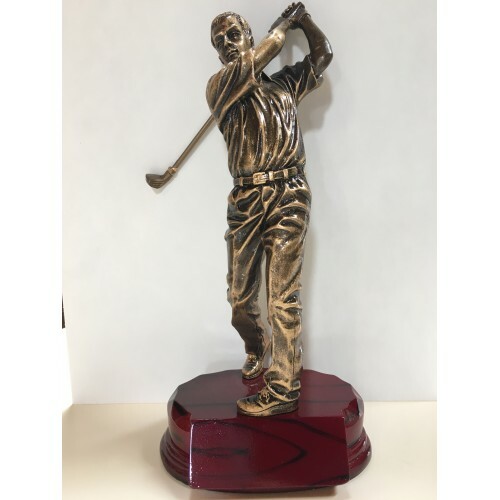 Golf Figure on Marble Base. Includes Laser Engraving. 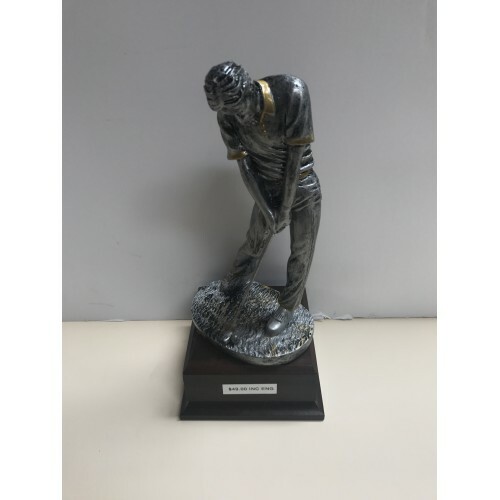 Golf Figure on Marble Base. Includes Laser Engraving. 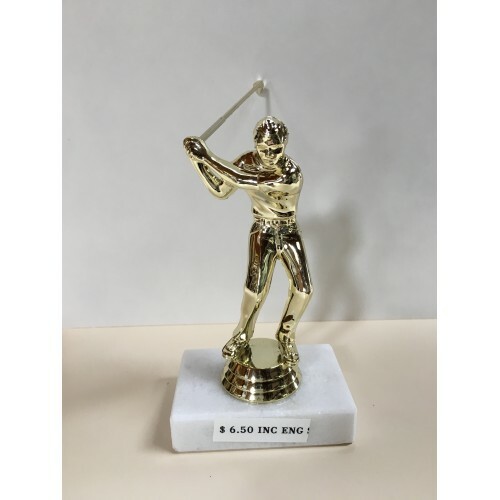 Golf Victory Series Resin. Includes Laser Engraving. 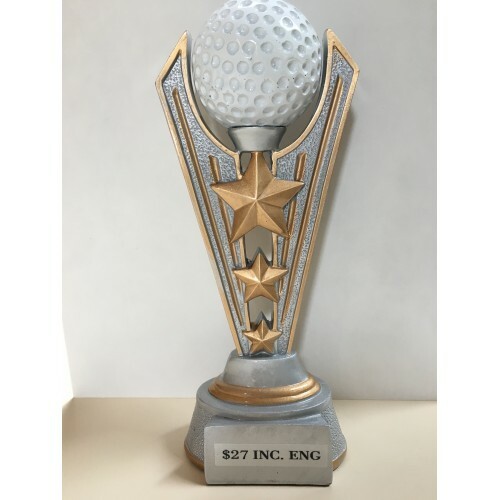 Golf Victory Series Resin. Includes Laser Engraving. 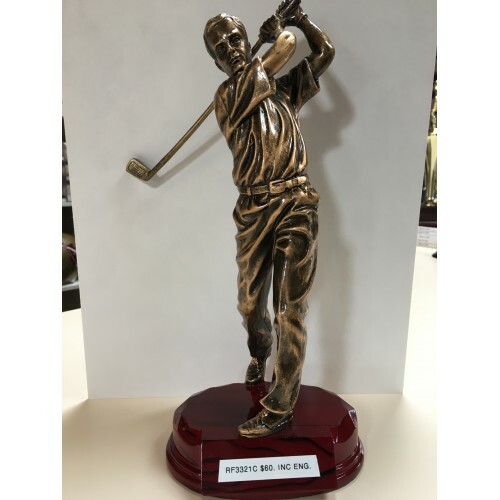 12 1/4 inch Male Golf Resin. Includes Laser Engraving. 12 1/4 inch Male Golf Resin. Includes Laser Engraving. 10 3/4 inch Male Golf Resin. Includes Laser Engraving. 10 3/4 inch Male Golf Resin. Includes Laser Engraving. 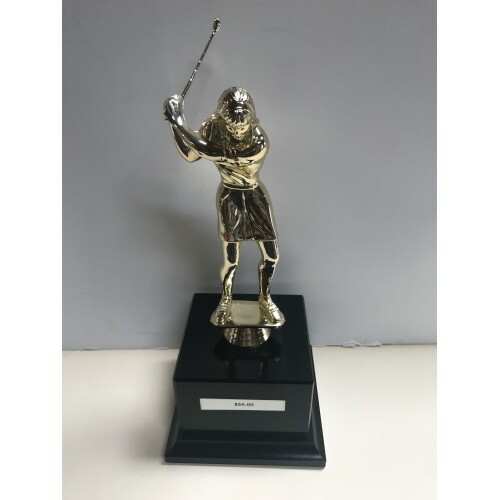 Ladies Golfer on Black Solid Base. Includes Laser Engraving. 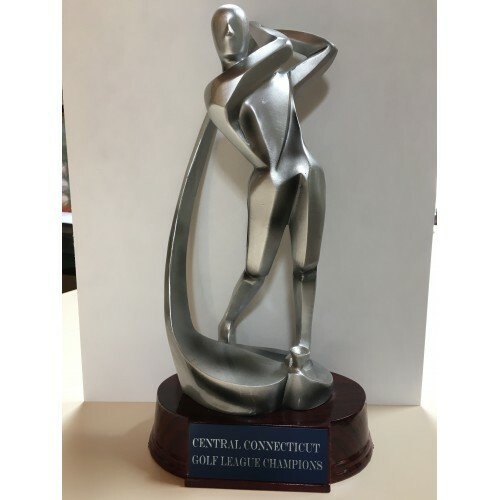 Ladies Golfer on Black Solid Base. Includes Laser Engraving. Golf Resin on Wood Base. Includes Laser Engraving. Golf Resin on Wood Base. Includes Laser Engraving. Golfer on Torch Riser. Includes Laser Engraving. Golfer on Torch Riser. Includes Laser Engraving.